Ultex Jazz IIIpicks areflexible,lightweight and virtuallyindestructible. Feature molded quick release edge and iconic Jazz III shape and tip. The Ultex Jazz III combines the durability, sharp attack, and light weight of Ultex with the conveted pointed tip design and quick release edge of a Jazz III. 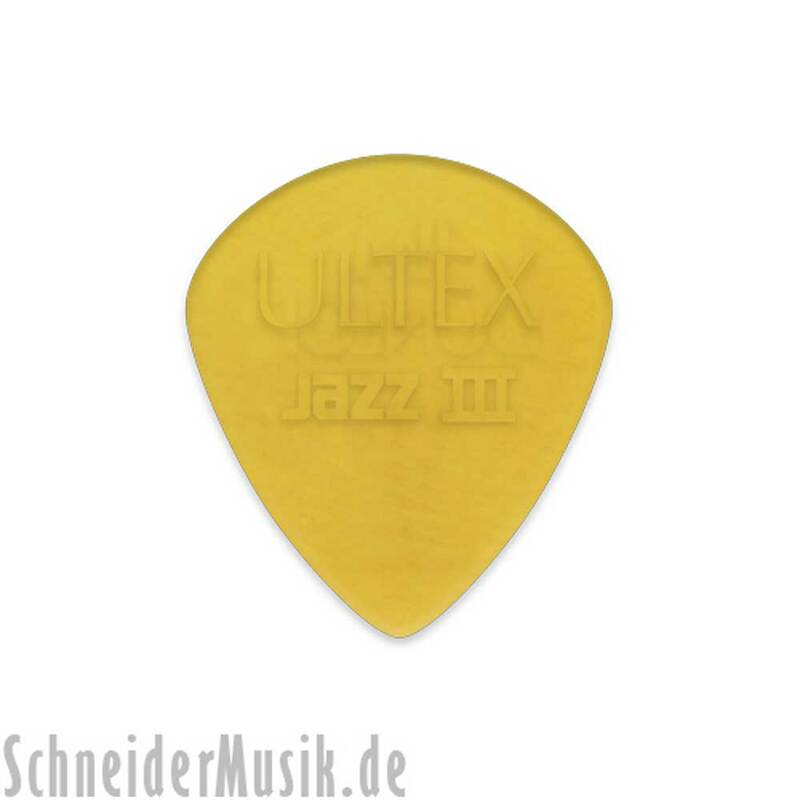 Ultex® gives you an extremelywide possible dynamic range of a pick and is available in the Jazz III shape to add speed, clarity, and definition to any style of playing.